Hi, I’m currently in Kuching Sarawak. Yes, it’s my first time traveling over the South China Sea and setting foot on East Malaysian soil. But that’s not the only thing that’s my “first time”. 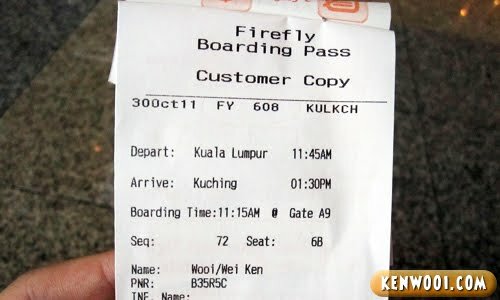 Flying with Firefly was a first time as well. I’m here for work, sort of a business trip – just so you know. Since it’s paid by the company, anything will do lah. As long as I reach my destination in one piece. The flight was alright, the food was simple yet good too. 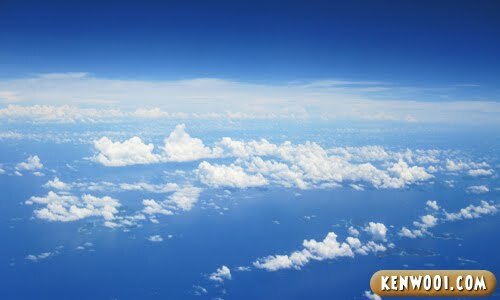 However, one thing I definitely didn’t expect to experience during the flight was the beautiful blue, super blue, sky over the South China Sea. 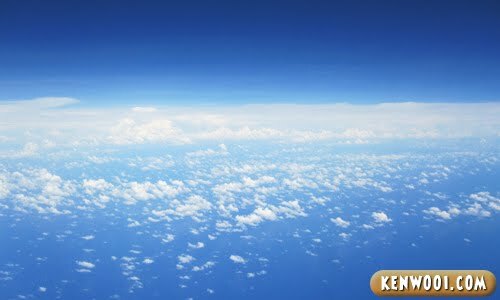 Truthfully, I was really fascinated by the beauty of the horizon. As much as I want to take a nap, the colour of the sky and the sea captured my attention. My camera was always within my grip. 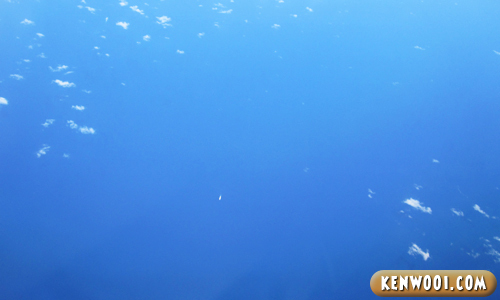 This is the deep blue sea. Try to spot a white ship in the middle. 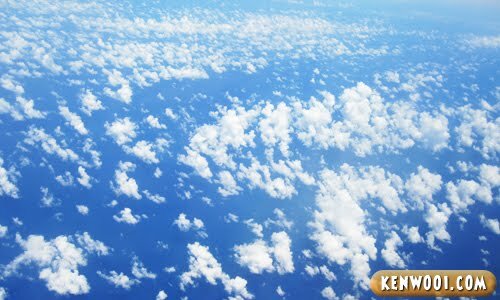 Another beautiful scenic view with trails of white clouds. 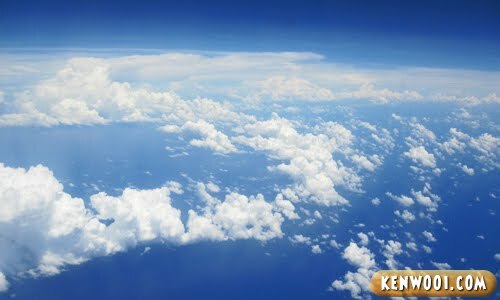 An unknown island midway through the flight. The Firefly airplane’s wing and turbine engine. 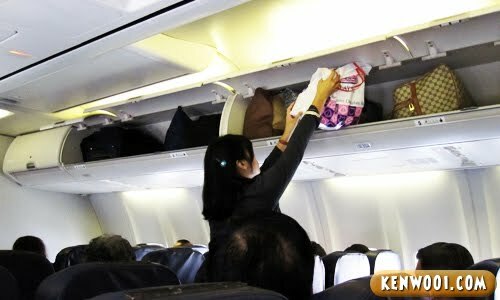 It was producing a monotonous noise throughout the flight. 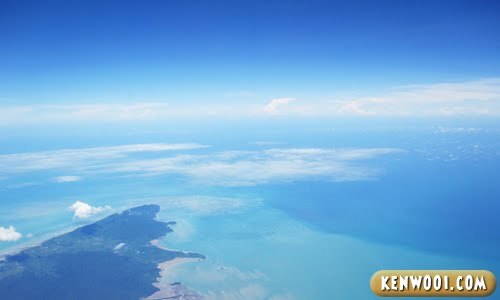 The blissful blue sky and sea with part of the Sarawak land as we approach our destination. The end. So yeah, that’s all the sky photos during the flight with Firefly to Kuching. Since it’s only my first day here, I guess I still have the luxury to come up with a blog post. But if work starts to kick in, I might have to slow down for a bit. They actually leave their heels in the car! Seems like they don’t even have comfort to change their heels at a more convenient place. Anyway, I’ll try to keep blogging, but I should be more active on Twitter while I experience my maiden visit to the Cat of Malaysia. Oh wait, I meant Kuching. Miao! 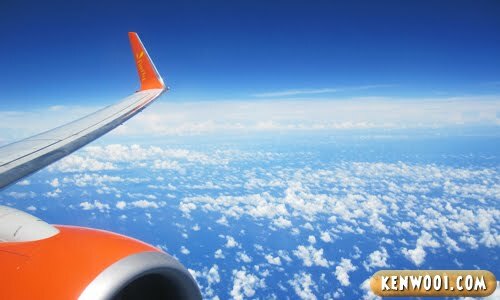 By the way, I’ve been taking photos from KLIA, to Kuching and all around. My colleague actually asked me am I a blogger? I asked why would he think so? He said it’s because I portray the style of a blogger. Oh no, secret identity exposed! Calm down man, be yourself and dig a treasure in Sarawak! Have Fun Mate! 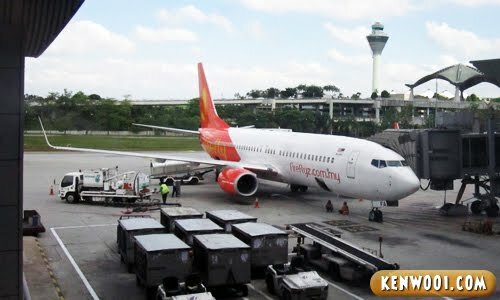 Welcome to Kuching Ken!! Btw, I’m wondering why you don’t want your colleagues to know that you’re a blogger? Yay Ken is here!!! We can go kai kai in Kch! 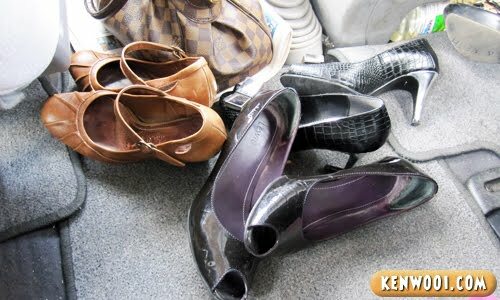 I used to put my shoes in car for convenience, but after that the glue that holds heels and base melted, so I moved them out already! o-ow secret id is exposed! Hahaha but camera’s always within a grip is already very blogger-like. Nice pixs! Have a great time in Sarawak! Have a good time there bro! Lol.. U kantoi ledi. Btw have a great trip! You’re in Kuching? Have fun there… Don;t forget to eat the kolo mee, Sarawak laksa…..and everything! Ask around and go only for the best. Come to Sibu next…I can take you around…and you can be sure that I’ll take you to enjoy the best in town! Blue skies and everything nice no haze. Your secret becum no more secret!! While you are there, don’t forget to try the teh c ping special, sarawak laksa, and also get a sumpit back! Enjoy man! seriously blue skies. pretty sight. eat more in kuching and take more pics. its an awesome town. at least they dont know you are IRON MANNNNNNN!!!! Hey Ken.. what does the last picture represent? No wonder your colleague asked u.. anything also snap… (I am also like that!) hahaha..
Kuching was a nice place for honeymoon!! 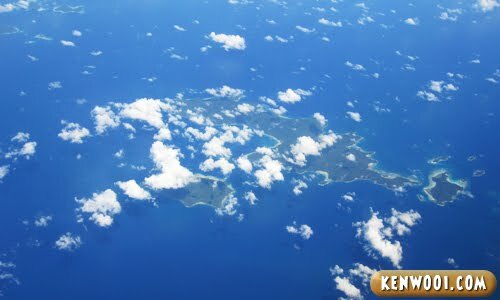 The City was so calm and ‘WALKABLE’.. ha ha ha.. btw,the Unknown Islan was Airabu Island.. one of Indonesian Island.. ^_^.v.. 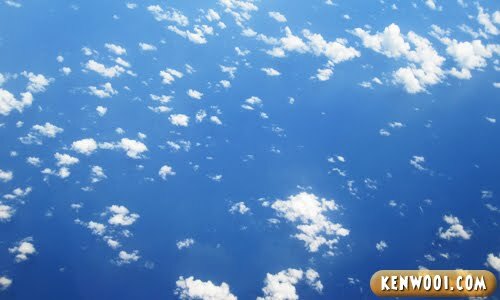 Very nice blue sky shots and such great weather. Enjoy Kuching.